You couldn't mistake which season this book is about as the writing is so colourful that it could only be Autumn. I've previously read the hopeful new beginnings of Spring and the warm lazy days of Summer so naturally the clear crisp days of Autumn would follow. 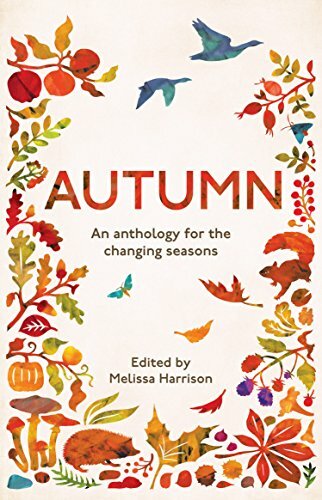 Autumn is another anthology published in conjunction with The Wildlife Trusts, so purchasing this book contributes to a worthy cause. 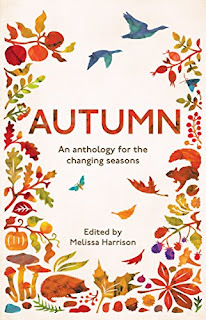 Autumn is often chosen as the favourite season for many people, myself included, and this anthology clearly tells us why we think so fondly of Autumn. The changing colour of the leaves, the frantic scurrying of the hedgehogs and the crisp frosty mornings all warn us that Winter is coming. In this anthology, there are some notable works from modern day authors and wildlife lovers. I am always surprised to find out who has written each piece and, although there are some classics such as Dylan Thomas, George Eliot and Thomas Hardy, I thought that the modern day wildlife lovers really shone through in this anthology. 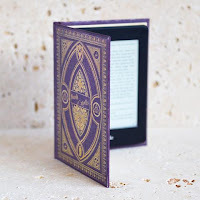 I especially enjoyed reading about badger spotting by Alex Francis, invasion of dormice by Jane Adams, blackberry picking by Tamsin Constable, dolphin spotting by Lucy McRobert and salmon jumping by Megan Shersby. The piece that really stood out for me and epitomised Autumn was written by Louise Baker. Louise is the grandaughter of a naturalist and I believe that she captured Autumn perfectly in her short piece. I've chosen a few lines from Louise Baker's piece below, it really is magnificent and captures the essence of Autumn perfectly. Autumn is an anthology that you can dip and out of, but I found that once I got started I was intrigued to see what surprise was in store for me over the page. It is full of vibrant colour and sound as nature starts to preserve its inimitable energy of regeneration to survive the harsh winter that is to come. Autumn is a stunning anthology that perfectly captures this most beloved of seasons. I chose to read and ARC of Autumn and this is my honest and unbiased opinion.